The person opting for a long-lasting ongoing effect of the THC in his or her cannabis, but who at the same time slightly wants to cushion the effects, chooses cannabis seeds of a type with a high CBD content. The person opting for a long-lasting ongoing effect of the THC in his or her cannabis, but who at the same time slightly wants to cushion the effects, chooses cannabis seeds of a type with a high CBD content. 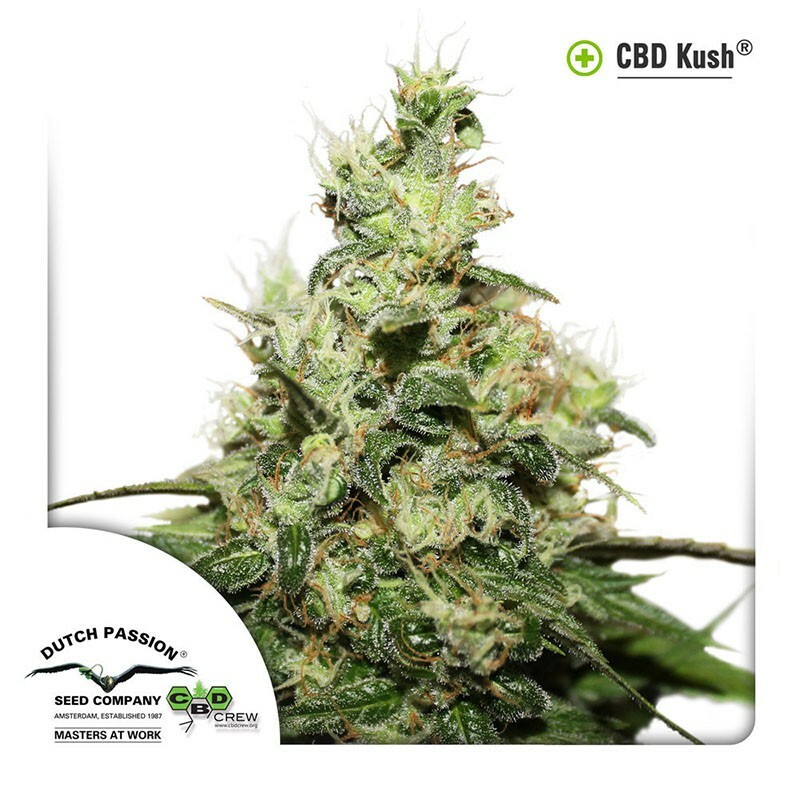 With CBD Kush, Dutch Passion responds to this specific demand of the consumer. Striking to the CBD Kush is that the THC percentage of this plant is about the same as the CBD percentage. So, a beautiful mixture. The feminised CBD Kush flowers approximately nine weeks after the weed seeds have been planted, after which the crop can be harvested. When you, as a consumer, are unable to choose between an indica or a sativa-type there is an additional reason to go for the cannabis seeds of the CBD Kush because sativa and indica are perfectly combined in this type. The experienced smoker will probably notice that the indica-elements are a little easier to detect while using it. The CBD-rich CBD Kush (the name is selected with good reason) is less, or actually not, suitable to cultivate outdoors. However, this type thrives in the greenhouse or under artificial light. When the plant is sufficiently looked after, it will reach a height of 1 metre. When the CBD Kush is consumed after the harvest, the smoker experiences a modest high that is generally regarded as extremely pleasant.